Auto accidents can be traumatic—physically and mentally. They can lead to severe injuries and sometimes even a lifetime of pain. Many injuries due to auto accidents may first register as minor discomfort, typically because of adrenaline which floods the brain and blocks the pain. However, after hours or days, the pain becomes prominent. It grows from slight discomfort to excruciating pain. Seeking proper treatment is crucial to reclaim your happy and pain-free life. At San Antonio Pain & Injury Centers, we provide the best in chiropractic care to victims suffering from pain after auto accidents with compassion and motivation and in a friendly environment. We utilize the most advanced pain relief techniques to alleviate pain and discomfort caused by injuries, as well as normal wear and tear. Our goal is to help restore your optimal health so that you may resume your normal life. 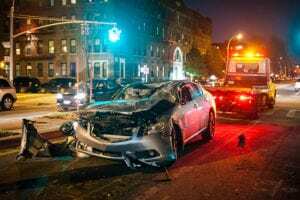 Due to the force and impact at which two cars collide in an accident, the victims can get severely injured, often experiencing soft tissue damage and misalignment of joints, sprains, strains, pulled muscles, deep bruising, and whiplash. Some of the injuries can also lead to long-term pain if left untreated. However, you can easily avoid living a life with pain through chiropractic care. Chiropractic care is the ultimate, natural and non-invasive way to alleviate pain. No drug use or surgery is needed. It is truly effective as it aims not just reduce pain but heal the actual source of pain. After a thorough assessment of your health, pain, and injuries, our experienced chiropractor will create an individualized chiropractic care treatment plan encompassing the best-suited techniques for your condition. The plan may include techniques like spinal decompression therapy, chiropractic adjustments, icing and heating, active care techniques, massage therapy, cold laser therapy and recommended nutritional plans. For example, spinal decompression is highly-effective for reducing pressure from the damaged spine and relieving pain from herniated and bulging discs. Likewise, the chiropractic adjustment technique works best on misaligned joints. It helps bring the joints back to their original place and provide relief to the tissues surrounding them. Passive care is crucial for reducing inflammation and improving the flow of blood while massage helps relax tight muscles and experience long-lasting pain relief. Call us at 210-404-PAIN (7246) to schedule an appointment with us today. Seeking immediate pain management treatment can mean the difference between fast recovery and a lifetime of pain.